So you’re going to Japan or you’re thinking about going. Congratulations! You’re one step closer to getting yourself to one of the most wonderful, wackiest, unforgettable countries on the planet. Now, in terms of rooming options, you could go the way of the Airbnb or stay at a traditional western style hotel. But can’t you do that pretty much anywhere else in the world you travel? 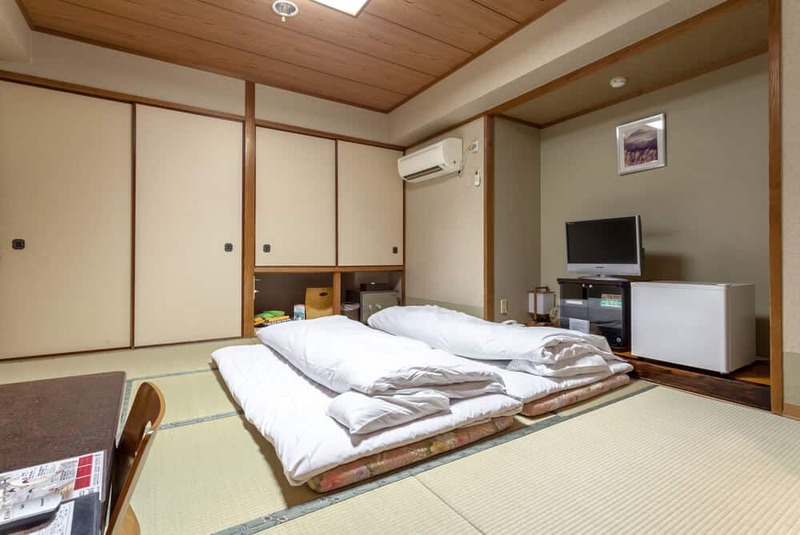 If you’re going to go to Japan, you may as well take advantage, at least for one of your nights, and stay at the type of place found only there: a ryokan. 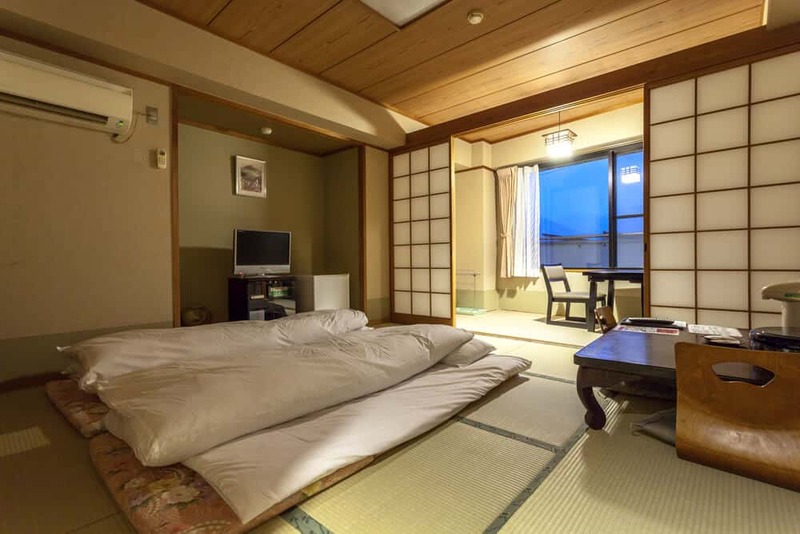 A ryokan is a traditional, Japanese style inn that has been around since the 8th century. They’ve been around about 1,000 years longer than the United States has been a country, so, suffice it to say, ryokans know what they’re doing. Staying at a ryokan provides a uniquely Japanese experience for guests, allowing them a glimpse into a unique part of the culture and tradition of the country. This isn’t to say great western style hotels and fantastic Airbnb’s aren’t out there- they are. 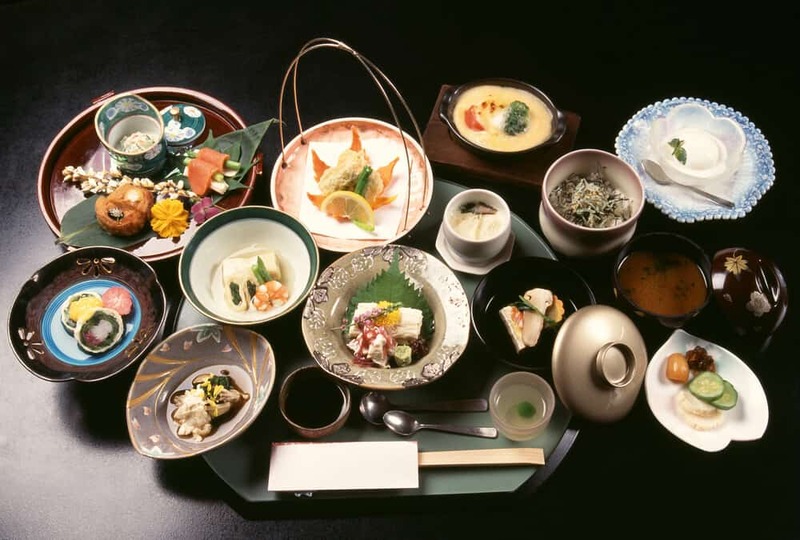 But below, I’ll provide some food for thought that will, hopefully, entice you to give a ryokan a shot for a night. Or two. Or all of your nights! I’ll never forget the first time I stayed at a ryokan. It was the height of summer and I was studying abroad during college. My friends and I had taken the overnight bus to Tokyo from our small countryside town. From dawn, we’d walked around Tokyo in the sweltering heat, and by the time our ryokan’s check-in time came, we were in desperate need of rest (and a bath). My body ached and all I wanted to do was lay myself down. Little did I know, the most comfortable bedding I’ve ever slept in was waiting for me- like a lover at home with a big ole’ pizza after I’ve had a hard day, it waited patiently. Is it weird to make romantic metaphors about beds? Moving on. After checking in, scaring the owner with what I’m sure were looks of desperation on our sweaty, foreign faces, and having a glorious bath, we came back to our rooms and were ready to sleep for all eternity. I crawled into my individual futon that was laid out on the tatami floor. I felt like a space adventurer climbing down into a sleep chamber pod that would put me to sleep for the next millennia until our destination in deep space was reached. I slipped into the futon and found myself luxuriating in the softest, coolest sheets, the airiest comforter (I’m telling you, it may as well have been a cloud), and the cushiest pillow I could have ever wished for. Given how exhausted I was, I could have cried. In fact, I might have wept just a little before giving myself over to sweet oblivion. You might be a little turned off at the idea of sleeping in something laid out on the floor like a sleeping bag, but I assure you, it’s worlds away from that. Futons are typically laid out on tatami mats, which give the perfect amount of spring and add the gentlest bounce to your bedding. I’ve worked as a flight attendant and have slept in beds all over the world. While they come close, none of them have matched the moment I crawled into that futon on that hot summer’s day in Tokyo. Maybe I was delirious. Maybe I was so desperate for sleep, a haystack filled with swords would have felt luxurious. Want to know how to find out? Try staying at a ryokan yourself. Sure, I love a complimentary continental breakfast as much as the next gal, but if you’re staying at a ryokan, you’re in for a wholly different treat. Some ryokans will serve you breakfast, or breakfast and dinner, depending. 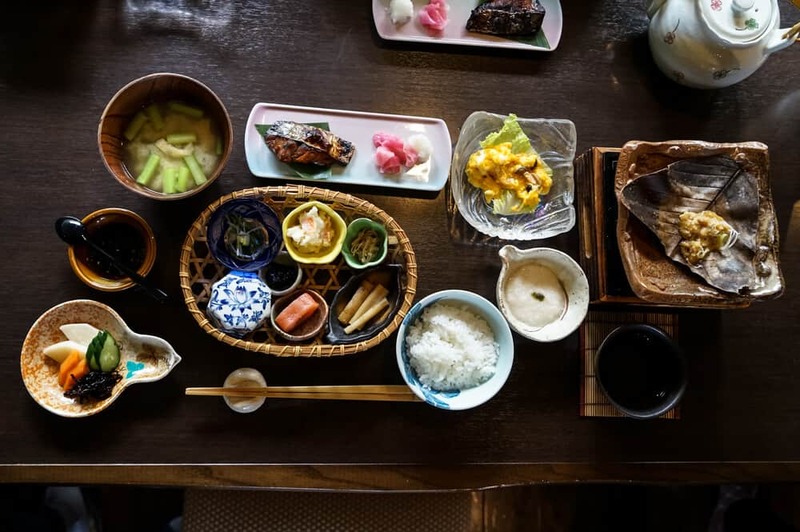 For breakfast, you’ll get a traditional Japanese breakfast, which typically consists of fish, miso soup, rice, some veggies, and hot green tea (or coffee, for addicts like me). Of course, this will vary, especially if the ryokan changes their menu based on what’s in season. If you get dinner, you may be served a kaiseki meal. Kaiseki is a glorious multi-course Japanese meal that is prepared by the chef and will also reflect foods that are current with the season. I don’t want to oversell this here, but it will potentially be the most wonderful, delicious meal you’ll have ever had. Especially if you’re in the countryside, where fresh produce is easily found, you may truly be in for an experience on another level. This is also the point in the trip where you get to turn to the partner you’ve dragged with you to Japan who knows nothing about the country, apologize, and gorge on everything in front of you while they look on in dismay at all of the food they don’t recognize. Don’t worry, if they really love you, they’ll go for it. Amazing cuisine is just another benefit of staying at a ryokan. You get to indulge in, potentially, the most traditional Japanese-style meals on your trip, all within the comfort of your cozy inn. When I lived in Japan after college and I was teaching English, some of my fellow teachers and I took a trip up to Hokkaido in the middle of February. We took the overnight ferry from the mainland of Honshu, and wouldn’t you know it, it was terrible. We rode straight through a winter storm on the Sea of Japan and endured 17 hours straight of nausea and a strong conviction that we were all going to die. All so that we could see some cool sculptures made from ice and eat some ramen (to be fair, the ramen in Hokkaido is truly outstanding and might actually be worth dying for, but let’s not examine that for the sake of keeping things dramatic). So. There we were, ready to fling ourselves overboard, when we finally arrived in Sapporo, Hokkaido. We stumbled onto our bus and made our way through the early evening dark to our ryokan. Much like the trip to Tokyo, we were exhausted, hungry, and in dire need of a hug. Just wanting to bathe and feel human again, we arrived at our ryokan, dragged our bags and ourselves into the entryway, and were instantly greeted by two kind faces that belonged to the owners of the inn. Their smiles were as warm as the glow that emanated all around us in the small, homey lobby. They looked genuinely concerned about us and helped organize our room assignments as quickly as possible so we could settle ourselves in for the night. They were a sweet married couple and for all the world reminded me of my parents…if my parents were about a foot shorter and had just taken a lot of Prozac. After braving the stormy sea, we’d made it to this small, cozy ryokan that had the familiar smells and sounds of home. Wooden floors, happy laughter from the owners, a hearty meal emanating its rich scents from somewhere in the kitchen…it was our lighthouse. And in a whirlwind trip to Japan when you’re constantly on the go, a quiet, peaceful ryokan could become your lighthouse, too. Even staying at a ryokan in the middle of a busy metropolis like Tokyo, you will find yourself in a bubble that’s somehow away from the noise and bustle of the city. 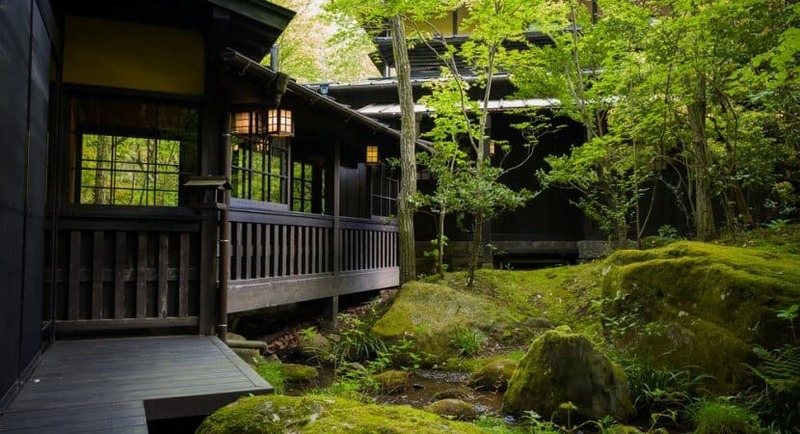 Whether you’re in the middle of Tokyo, or you’re somewhere deep in the countryside, a ryokan is an escape. 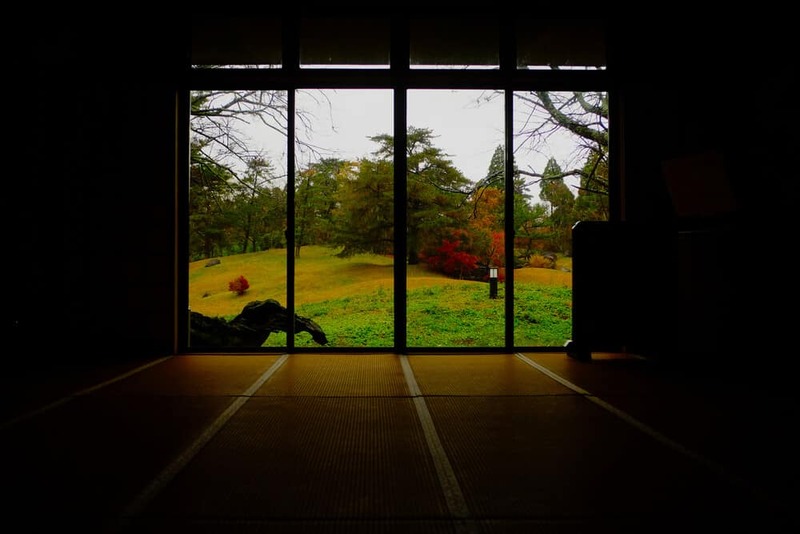 Once you’re inside a ryokan, you can allow yourself to disconnect from the outside for a little while and turn inward (don’t worry, Instagram will still be there when you come back). 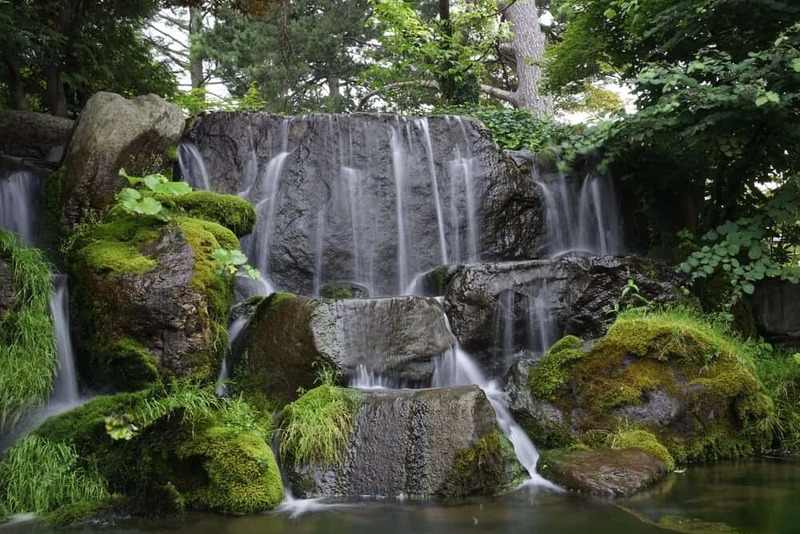 It’s a chance to soak up your experience and enjoy a slower-paced Japan, and a slower-paced sense of self. 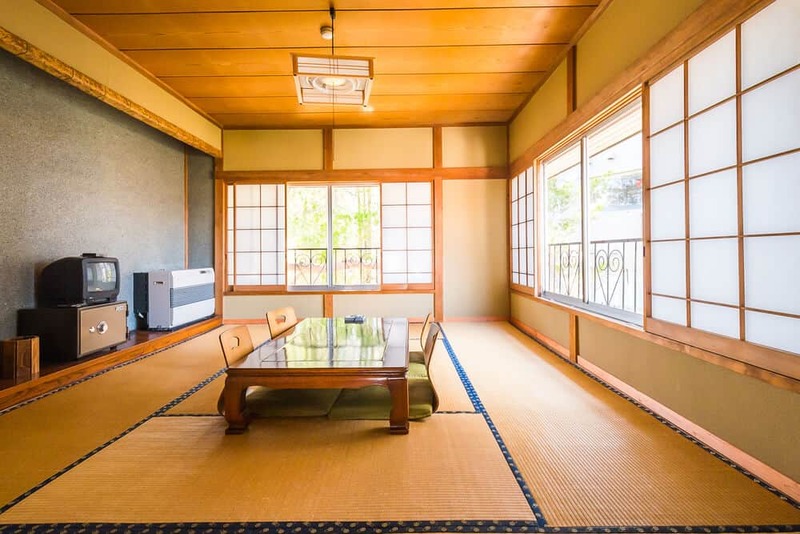 Staying somewhere like a ryokan is a time to truly soak up what could be a once-in-a-lifetime opportunity of enjoying a traditional Japanese experience found nowhere else in the world. If there was ever a moment to turn to your travel buddy and say “this is why I love Japan and you can’t change my mind,” it’s when you’re both sitting on tatami mats, staring out at a rock garden through sliding doors as the quiet envelops you and fall foliage dots your vision with red and orange. Japan is a nation that has long prided itself on the Zen-like idea of living in the moment, of appreciating what is right in front of you before it’s gone. So while the blinking lights of Harajuku are astounding and Shibuya crossing is a sight to behold (if not anxiety-inducing), make sure you don’t underestimate the power of taking the time to soak up the peace and slowness, my friend. It’ll be over before you know it. Ah, the baths. Lest we forget the most luxurious yet nerve-wracking (for some) portion of staying at a ryokan. Allow me to explain. 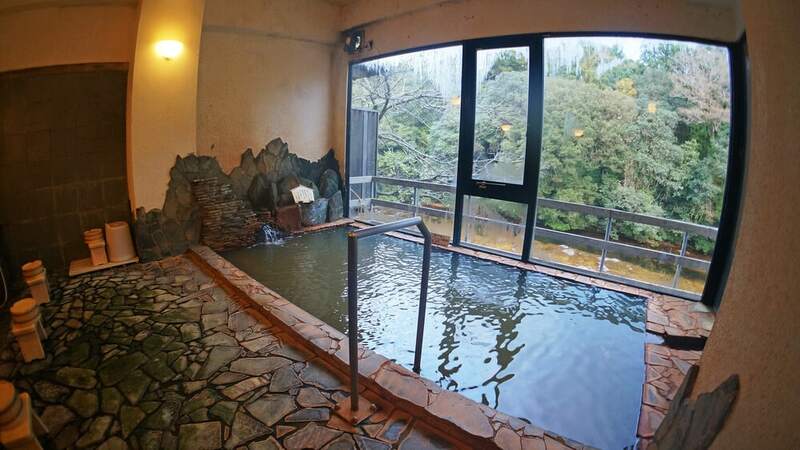 If you’re lucky, the baths at your inn will be an onsen or a, natural hot spring. Depending on the ryokan, you may get a public or a private onsen, or, to further the option pool (pun intended), it could be indoor or outdoor. 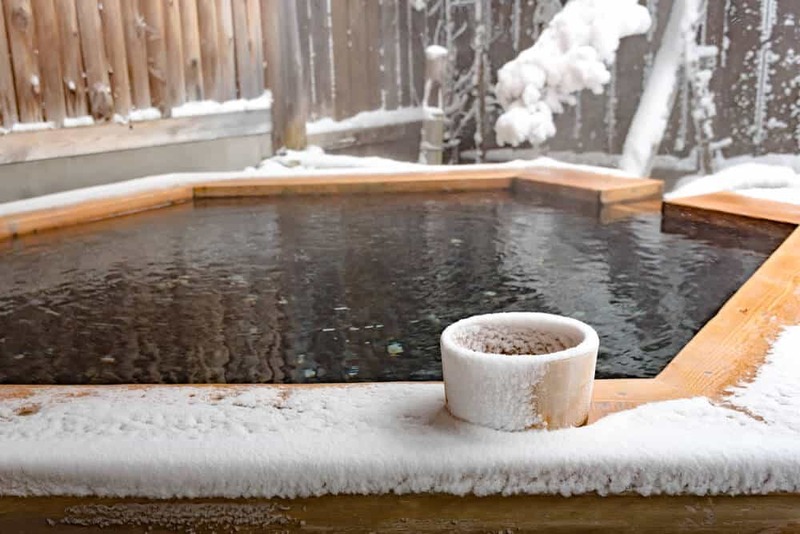 If your ryokan doesn’t have an onsen, it is still highly probable that they will have public or private baths for you to use (using normal water instead of natural hot spring water). Now, if you’re new to the bathing culture in Japan, get ready! It’s time to strip down. Onsen require that you sit on a little stool in a tiled public area (yes, public), wash yourself and your hair, rinse off, and then enter the baths. Sounds like fun? Great! You’ll be fine. Sounds terrifying? Don’t worry! You’ll still be fine. Or, you can pay a little extra to book a private bath if your ryokan offers it. 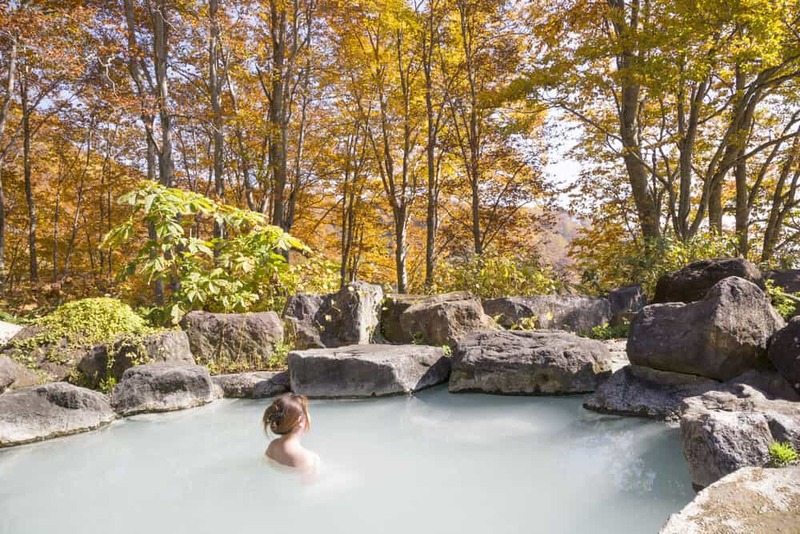 Onsen are said to have a multitude of health benefits, including but not limited to curing fatigue, eczema, and muscle and joint pain. For me, primarily, onsen allow me to soak up a short time of pure bliss. Especially at an outdoor bath with a view of nature, the comforting heat of the water and the sight of earthly beauty is enough to make anyone feel like they’re nearing a nirvana-like state. Or, of course, it could just be the saké finally hitting you. The onsen are truly the cherry on top of the already amazing experience of staying at a ryokan. And you know how the old saying goes! Once you go ryokan, you never go…okay, nothing rhymes with that. Someone please come up with a catchy phrase about ryokans and get back to me, please. Thank you. 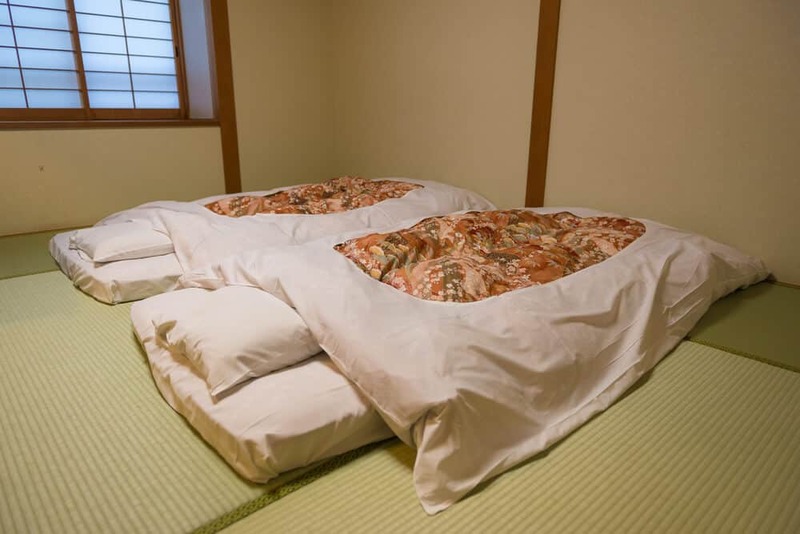 What was your experience like staying at a ryokan in Japan? Let us know in the comments below!